You tell your students to aim for PADI Master Scuba Diver. You also want to tell them that you can take them all the way there, because you’re a PADI Master Scuba Diver Trainer (MSDT). Even new instructors having just completed the PADI IDC & IE can complete this course, in fact its extremely beneficial, because information that you learn on this course is useful when teaching other PADI courses. It is highly recommended and expected that, as a diver of this level, you own your own Scuba equipment. You can find everything you need at our KK Times Square Dive Shop. 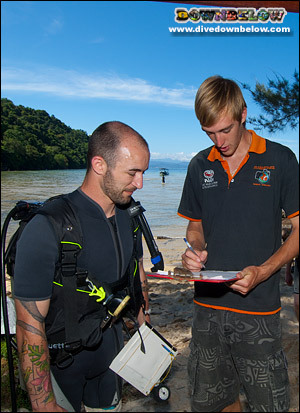 The MSDT Course requires an application to PADI and you must have met the pre-requisites outlined below. To achieve these requirements Downbelow offers different options for gaining the required knowledge and experience. Please contact the Downbelow Go PRO Instructor Team, telling us your current qualification level and available time to complete the course and we will propose a suitable program. Our 3 month MSDT Internship option is highly recommended.